The band duo The Bergamot, recommend getting a friend to help with major decluttering. A friend can be more objective than you about what to keep, what to donate, and what to trash. Get your friend to whip you and your home into better shape. Is our problem materialism, loving things too much? According to internationally acclaimed cleaning expert Marie Kondo, no. Our problem is not loving things enough. Kondo believes that clutter is due to buying too many things to care about properly. She suggests that we should choose few, high-quality goods and then clean, use, and care for them greatly. In Kondo’s home, there is very little clutter, but every object’s location shows how much it is loved. This is the trademark cleaning strategy of Nicole Sforza, an editor for Real Simple. Though it sounds simple, many people avoid setting time limits because they think of the task in terms of the end goal, not the process. Although thirty, ten, or five minutes might not be long enough for you to finish your cleaning, it is better than no cleaning at all. 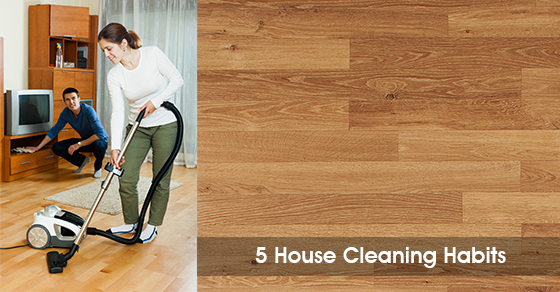 And, best of all, it is much more likely that you will actually do the cleaning if you have a definite stopping time. This is another of Sforza’s classics. She has found that the work of going to another room and collecting cleaning supplies often dissuaded her family from getting cleaning done. By hiding supplies all around the house, every cleaning task feels like less work. According to cleaning expert Corina Wilson (Mrs. Clean), multitasking is an attractive, but terrible, way to go about cleaning. Although it seems faster to space in laundry, dishwasher use, or other cleaning tasks into a bigger job, it makes it much less likely that each job will be done properly. As an improperly done job doubles the process by causing the job to be repeated, if you only focus enough to do everything halfway, nothing will ever get done. Go for short, focused bursts of cleaning where you choose one task or room. If you run out of time, take up the same task the next time you clean. Keep coming back until it’s done, then move on to the next.